FS Instant Approach PRO 2015 is our latest add-on for Microsoft FSX and FS2004. 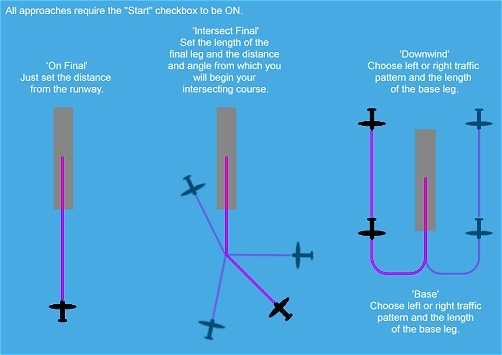 Setup an approach, at any runway, in under 20 seconds! PLUS so much more like Downwind and Base left or right Traffic Pattern approaches or Intersecting Final approaches! If you like these FSInventions products you will LOVE FSFlyingSchool Pro 2018. FS Instant Help is an add-on for Microsoft FSX and FS2004. Click on a control, switch or instrument in Flight Simulator and listen to immediate spoken advice on its function and use! PLUS - Map and save all your flight routes and view with Google Maps!